The Navaro 11-inch tall men's San Saba cowboy boot is sophisticated and innovative with textured burnt beige leather upper with a subtle tonal stitching giving this boot a vintage feel. 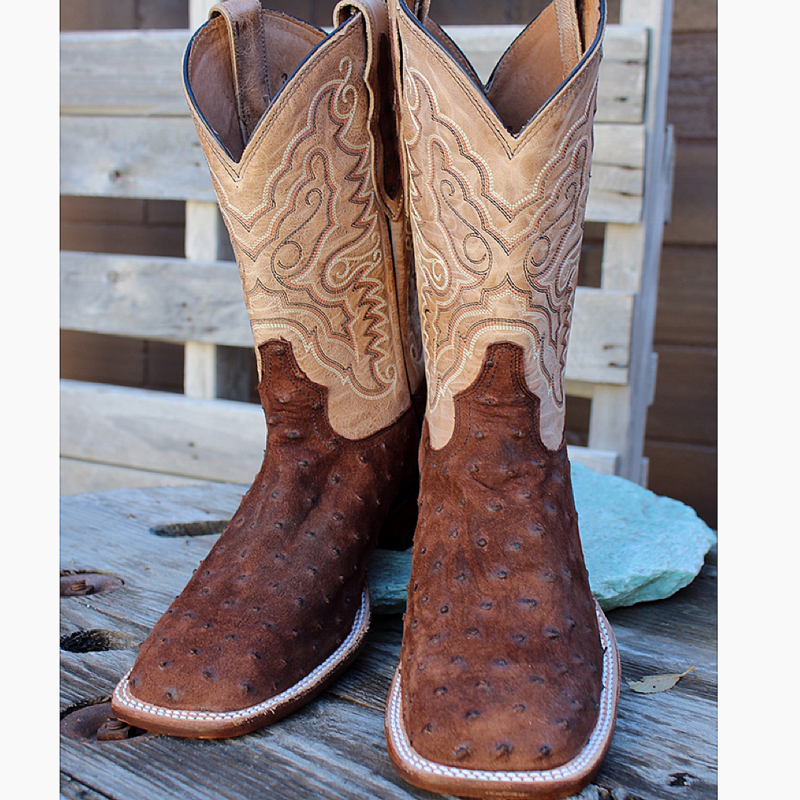 It features diamond cut pull straps with an ostrich leather panel and the rich brown full quill ostrich foot has a unique finish that sets this boot apart. The wide square toe and long base walking heel provide a relaxed fit in the stirrup and the Cushion Comfort Package insole supports the foot for lasting comfort. Its single stitch leather outsole guarantees extended wear in and out of the saddle. This style is proudly Made in the USA with global parts.